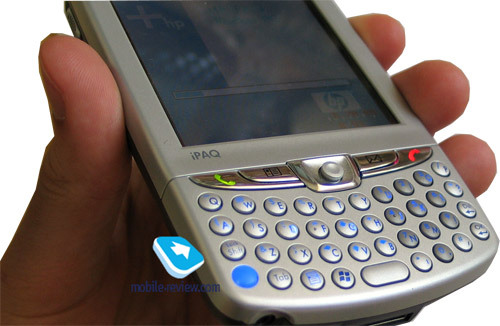 In fact all the main PDA manufacturers (HP, Dell, Asus and others) pin great hopes on communicator and smartphone market. Handhelds will be gradually forced out by communicators; however we find this understanding not very precise. So, it is right to speak about the PDA market reincarnation but not its death. All the middle range and high-end PDAs will be equipped with an integrated cellular module, and will be called differently correspondingly. From the hardware point of view, adding a GSM module into a PDA is not so difficult, not much harder than a wireless Wi-Fi one. But really this operation can't be held quickly and painless. All the phone and operator services should work correctly. The distributional channel would change, and mainly devices would be distributed via operators. And thus this or that model is hard to get popular and successful if operators disliked it. And that is why already announced models are so hard to launch and why their launch is often postponed. The examples are very close. 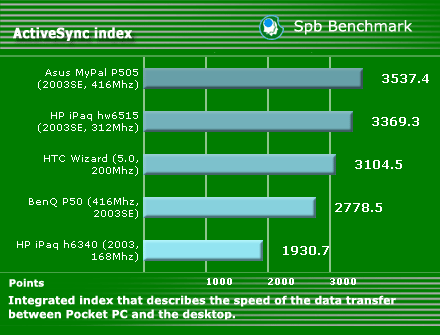 For instance, Asus: the MyPal P505 announced even in 2003 (then called Asus A8100). BenQ P50 officially announced more than a year ago still has not appeared on the counters, and only a test part for Taiwanese market is shipped. Also Motorola MPx that is an ODM development of a Taiwanese Compal. 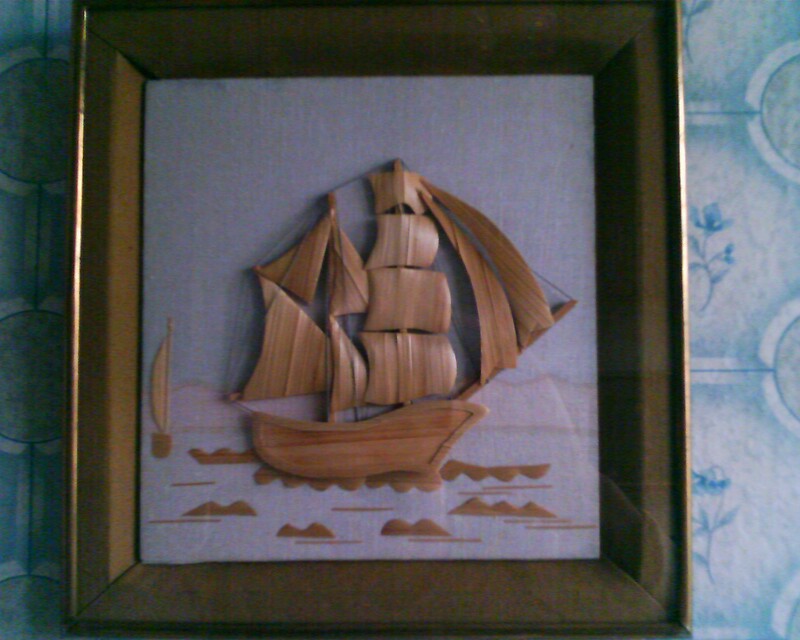 Several years of developments and attempts to complete the model. The result is the model cancelled and already manufactured examples are shelved at Compal's storehouse. And another significant example is Samsung's smartphones, the company starts treating the market seriously only now, and before we observed only the first attempt at writing and showing its capabilities and power. The company of Dell (as well as Acer) has not still announced its communicator, it has been developed for several years already, and the company negotiates with operators. The companies producing smartphones and communicators stably and in time are Taiwanese HTC (Qtek, I-mate brands, and cellular operators' trade marks), Sony Ericsson, Nokia, Palm (by the way, the Palm Treo 650 is also manufactured by HTC). The company of HP was not an exception, and its way to the communicator market was not covered with rose leaves. HP communicators have existed since 2002 when HP Jornada 928 based on Texas Instruments (TI) processor appeared. The device didn't become popular, since the market was no ready at that time: short battery life, big size, weight, high price, no formed demand. 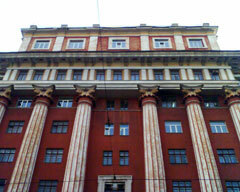 The main thing is the model was demanded in corporative sector that it was mainly targeted at. And only after the announcement of HP's and Compaq's fusion HP Jornada 989 (design similar to Jornada 928, Intel XScale 400 MHz) was announced. It was cancelled even having not reached commercial manufacture. 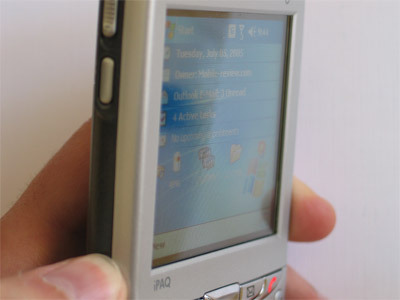 In its turn Compaq was preparing the iPaq 5600 series models(both GSM and CDMA versions) that would not copy the appearance of the iPaq 5400 (one body was developed for both series, and thus what rouses an everlasting iPaq 5450 users' question why the PDA has a SIM-card slot. And only in 2003 it all got clear. Texas Instruments showed a reference-design of a WANDA (by letter abbreviation of Wireless Any Network Digital Assistant) on the 14 of March 2003. 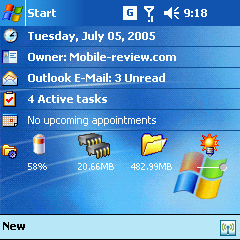 The company had been developing this device since the second half of 2002. The functions seemed fascinating for the announcement moment - Wi-Fi, Bluetooth, GSM, GPRS, long battery life, good size. 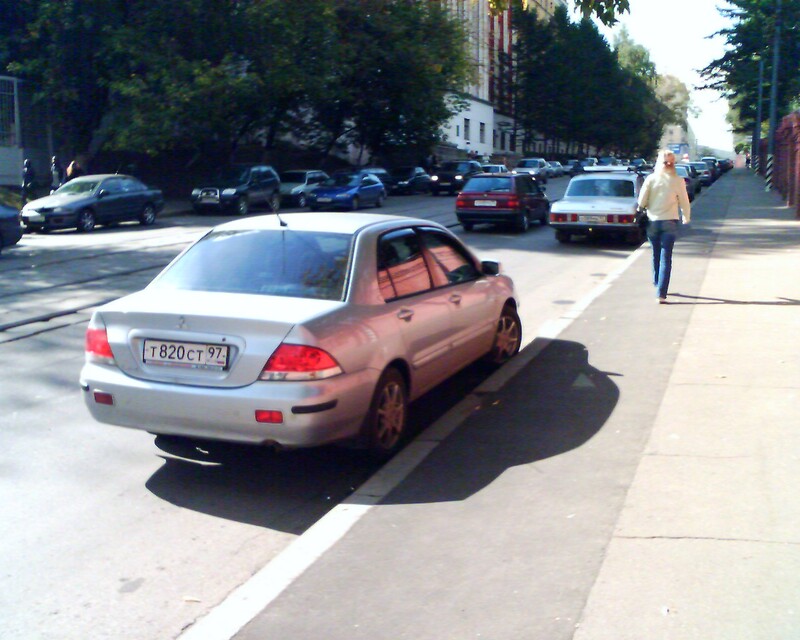 Many of us even couldn't believe it was possible, since the concept design outstrips the time. Texas Instruments announced that the WANDA will be available for manufacturers in the course of 3 months after the announcement. The TI's plans were far-reaching, the devices were to appear under operators' brands, and they hoped to repeat the HTC's success here. At that time a joint HP holds negotiations with TI, and the result is the WANDA is exclusively used by HP. 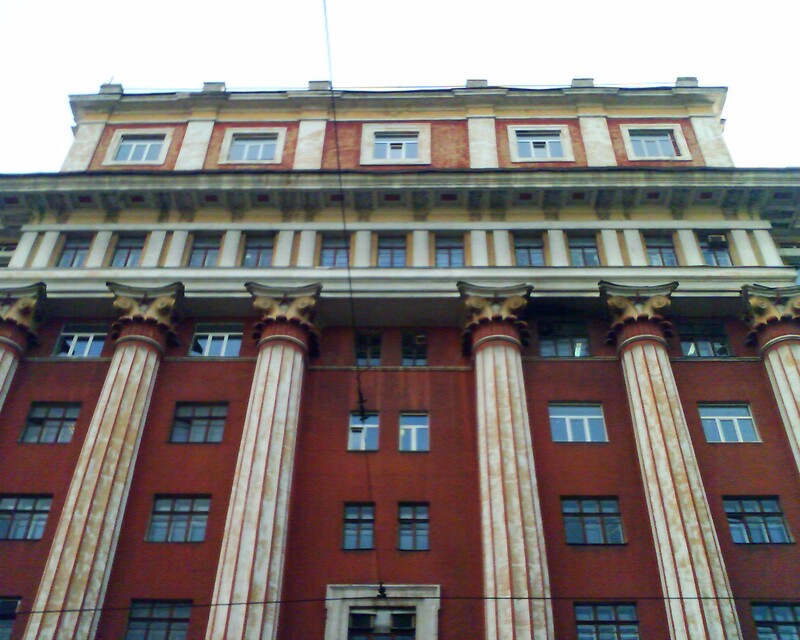 The company of Compal took technical development and manufacture. 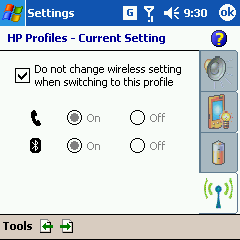 And this is how HP iPaq h6340 appeared (the last two figures vary depending on the region, retail channel and operator and the presence of a camera). Looking back we can surely say the second HP communicator is not a very successful model. Big size, external antenna, weak processor, old version of operating system (these are the shortcomings of a durable development process). The main advantages are long battery life, Bluetooth and Wi-Fi simultaneous work. However all the advantages didn't overweight all the minuses. Only T-Mobile promoted the model, and that was too little for success. 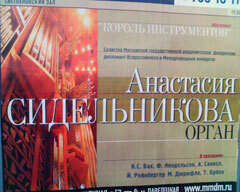 The review of the model can be read on our site. 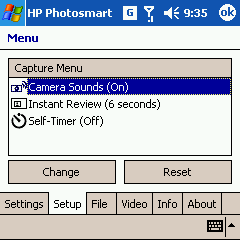 A new HP communicator has been developed for long also, the launch was already postponed once. We should say the company of TomTom received the devices even last year for adopting its navi program TomTom Navigator for the communicator. The company of HTC (an old ODM-partner of HP in PDA field and having great experience in manufacturing smartphones and communicators) became the manufacturer instead of Compal. The communicator greatly differs from the predecessor, and nothing remained of the old model, concerning both specifications and design. 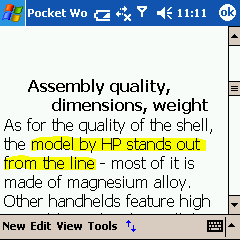 The communicator got a new index - two letters before the number (hw instead of h) - like all new PDA model lines by HP. An additional (marketing) name of the model is Mobile Messenger. It stresses the presence of the integrated keypad and a cellular module. 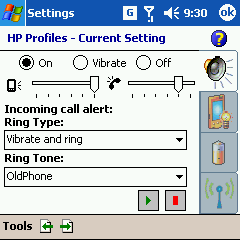 A full name of the product is HP iPaq hw6515 Mobile Messenger. 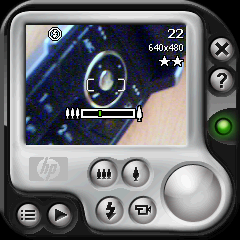 The last two figures vary depending on region, the presence of the camera (HP iPaq hw6510 goes without a camera), and operator. And if the iPaq h63xx was outdated for the launch moment, then the new communicator outstrips the time and gives us understanding of the development direction and what to expect. 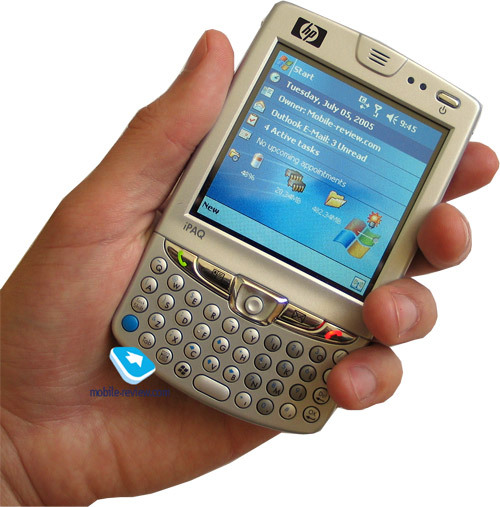 Palm Treo 600/650's high sales, the push-mail BlackBerry (e-mail message is instantly delivered to your PDA as soon as it appears on the mail server) revitalized interest to keypad models. And that was not so long ago we thought they are in the past. 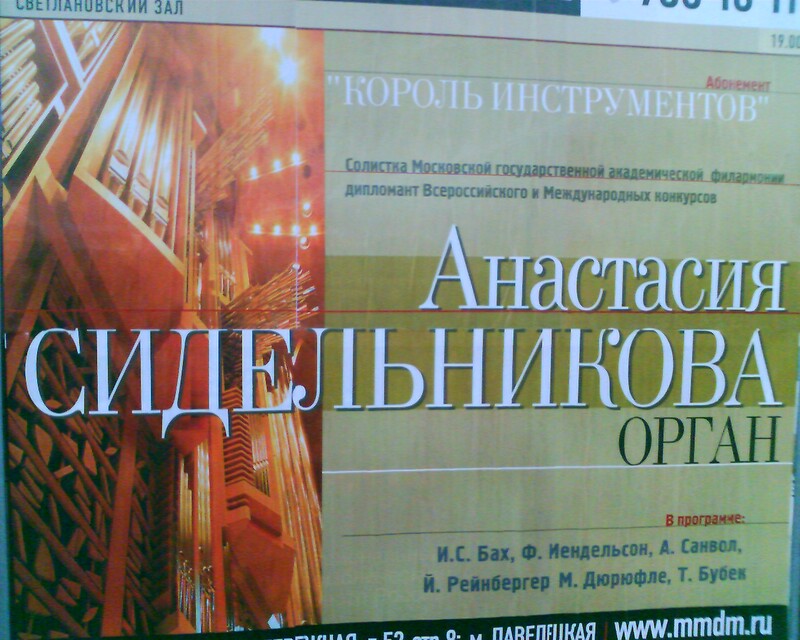 And for the first time! 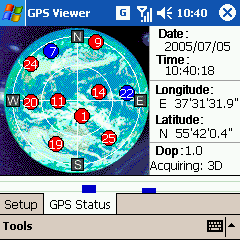 An integrated GPS receiver for exact location. For the first time - two memory slots. 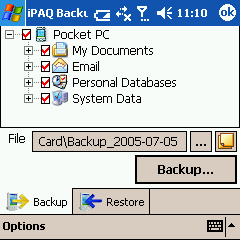 For the first time - a square display in Pocket PC (this solution has its pros and cons, later about them). For the first time in a Pocket PC - integrated support for Bluetooth stereo headsets (A2DP profile) wireless playback of music and Bluetooth keypads. Undoubtedly the device is not ideal, it has considerable minuses, and read the details further in the review. 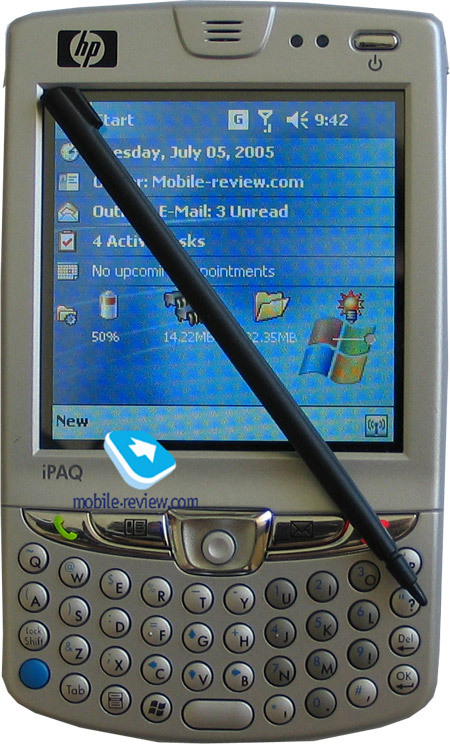 If comparing them with miniature devices without a keyboard, the iPaq looses in size notably. The model firmly lies in your hands, the size is relatively average. 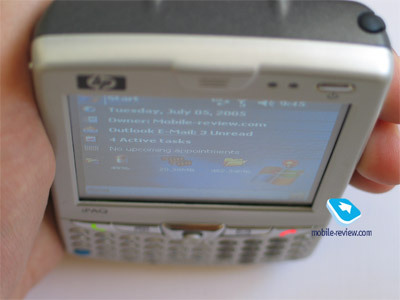 The HP communicator seems wide after BenQ P50 (it is one cm wider), and a more comfortable keypad was integrated due to it. The men part of the audience finds the mode firm and comfortable. Women will mainly say it is rather big. 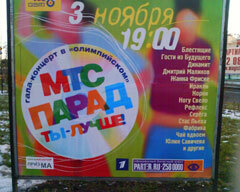 The iPaq fits a shirt pocket but оттягивать it seemingly. You won't feel the communicator in the internal pocket of your jacket, as well as on your waist. So that is the best place for carrying it. And traditionally for HTC the assembly quality is very high, there is no body backlash, the joints of plastic edges are unnoticeable. The front of the body is of a classic smooth silvery plastic (it doesn't make a feeling of metallic surface but gives away an expensive material by touch), it isn't easily soiled, and the back is gray smooth plastic. 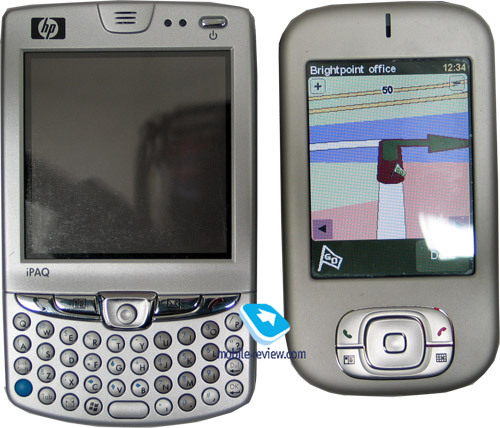 As for me, it would be wiser to make the back panel rough like in the iPaq h4150. Above the screen there is a loudspeaker for conversations, two LEDs (indicate six various conditions: green blinking means GSM coverage, yellow blinking - missed reminder or alarm clock signal, permanent yellow - recharging, green - the battery is full, red blinking means greatly discharged battery, pale blue blinking - Bluetooth is on), and a silvery power button. The 5D joystick is hard to call comfortable in games, it fails to make its duty (positioned incorrectly, often fails to work in the necessary direction). If putting the model with the screen down, the joystick can snap into action. However, speaking about a regular work with usual applications, you can soon get used to it. 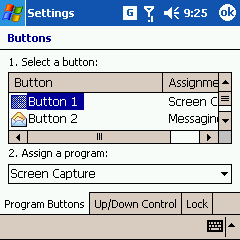 Two application buttons (e-mail and contacts) and answer/cancel buttons are to the left and to the right of the joystick. Two actions may be assigned to any button - long and short pressure. One of the main advantages of the device is its integrated QWERTY-keypad. The keypad has a bright pale blue backlighting well seen in the dark. It may be turned off from the menu. Round buttons are well distanced, they are put not as close as in BenQ P50, and so working with it is comfortable. 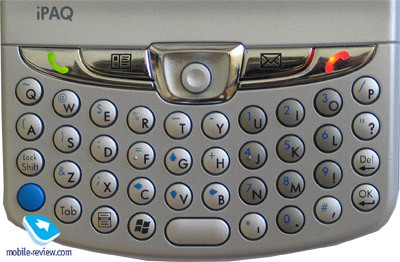 The keypad design is close to Palm Treo where rows of round buttons are placed in an arc. 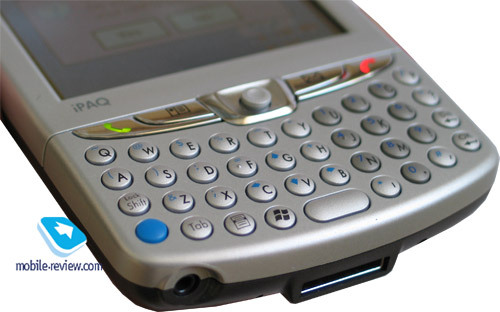 As for the comfort, the keypad is similar to Palm Treo 650, wins over integrated keypads in BenQ P50, HTC Blue Angel, however, seriously loses to Nokia 9300, HTC Wizard. The keypad is traditionally adopted to the interface less that we'd like to, so we have to take a stylus when working. That means you can't use the device fully and forget about the keypad, since it is not enough. Not using a stylus you'll be able to enter SMS, dial a phone number from your phone book, run some application, but not more. 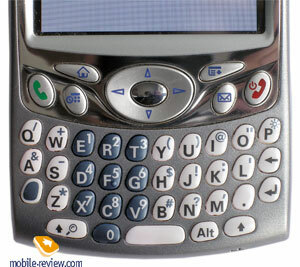 The problem will obviously be solved in the WM 5.0 with a QWERTY-keypad improved. The buttons are sunk not deeply, response exactly, and neighboring buttons are not accidentally pressed when entering texts. The number row is distinguished in red. Pressing it you call a phone application, and now can dial a number with one hand. 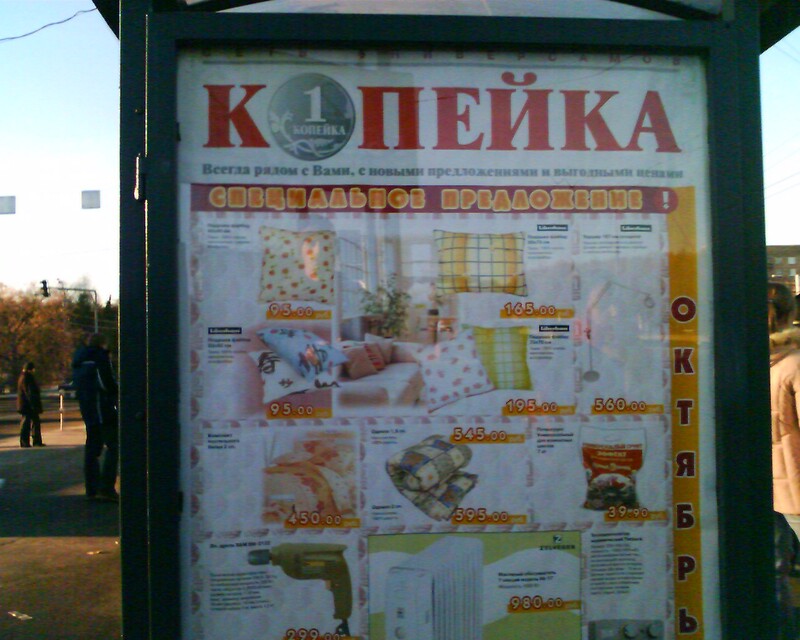 Few letters tell upon the Russified version, some of the letters are to enter with combinations of the buttons; there are not enough buttons for all the letters. 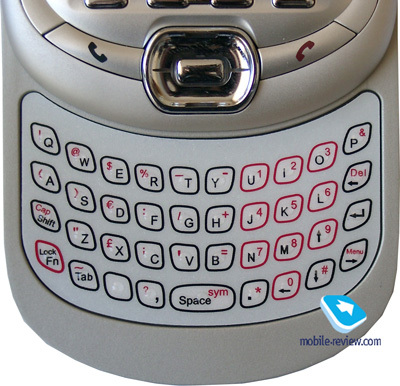 The keypad will be russified like in Palm Treo 650 by a sticker on the body. 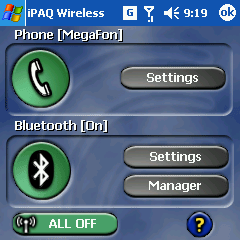 On the left of the communicator you'll see a soft volume slider (using third party utilities you can reassign them to "up" and "down" actions, for instance), and a camera button is also there. An IrDA gap is lower (version SIR 1.2). And the next innovation is two expansion slots (for the first time in communicators) placed on the right side. Integrating two connectors simultaneously is now possible due to the wide spread flash-cards of miniature size taking little place in the body. The advantages are the following. First, the max size of external memory grew, and today it forms 5 GB (4GB SD and 1GB miniSD), and soon it will be 5 GB with the launch of 4 GB SD cards. Second, one of the slots may be used for the main memory (install programs there, store important data and rarely plug the card out) and the second one may be used as a removable drive. Third, the SD/MMC slot supports SDIO. And that means various peripheral devices are supported besides memory cards. 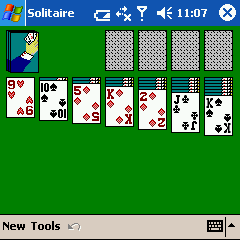 A SDIO Wi-Fi card may take the slot and a miniSD may serve for memory needs. 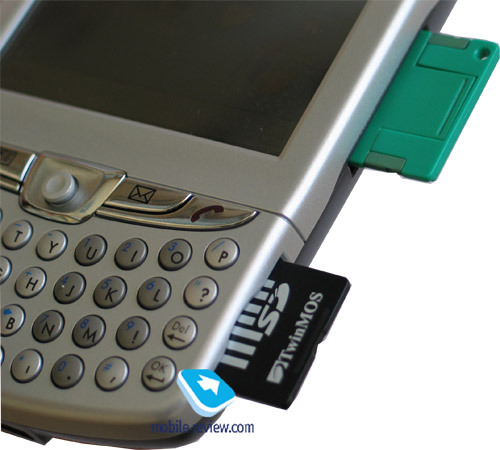 However it's impossible to use them vice versa, since the miniSD slot in the iPaq hw6515 is used only for memory needs. An interesting point we noticed is when the battery is discharged seriously the SD/MMC connector is off and the miniSD keeps on working. Obviously hot card change is provided for both standards. We see no disadvantages in using the two expansion slots (SD and miniSD). They influence the dimensions and the weight very little, as well as energy consumption. The top of the communicator may be called empty - only a stylus slot. 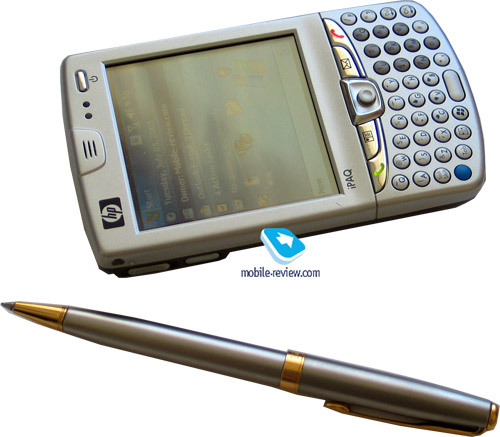 The sylus is standard for the whole new iPaq series, that is a comfortable weighty pen of solid black plastic. The stylus was held up in the slot loosely and dangled. It seemed ready to fall out of the body with the first good opportunity. But that impression is mistaken, since even trying hard you will find it difficult to shake it out. So, if we are speaking about the stylus, let's pay attention to the standard kit also. The cradle is standard like in all the new iPaq PDAs. 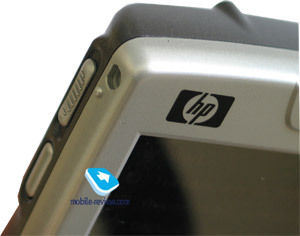 A plastic cover for the screen has become a good tradition for all the HP PDAs of high-price segment. Here it is folded back. The main advantage is it serves as a case (which is protecting the screen) taking very little space. It is easy to remove, and the grooves may be used for fixing the device in a car above the dash-board (since one of the main use of the device is car navigation). I found a plastic waist clip quite comfortable, the communicator is reliably fixed to it and is easily unfastened when lifting a top holder. This is one of the most comfortable waist fastening. The only disadvantage is you will have to turn a headset off to remove the iPaq, if the headset is on. A naked camera gap is on the back of the communicator. A battery module and extra loudspeaker are also there. The last one is loud enough; it sounds clear at the max volume and doesn't wheeze. The bottom end contains a standard HP synchronization slot (USB 1.1), a soft retire button, headset slot (2.5 mm). The communicator is charged via a USB cable. 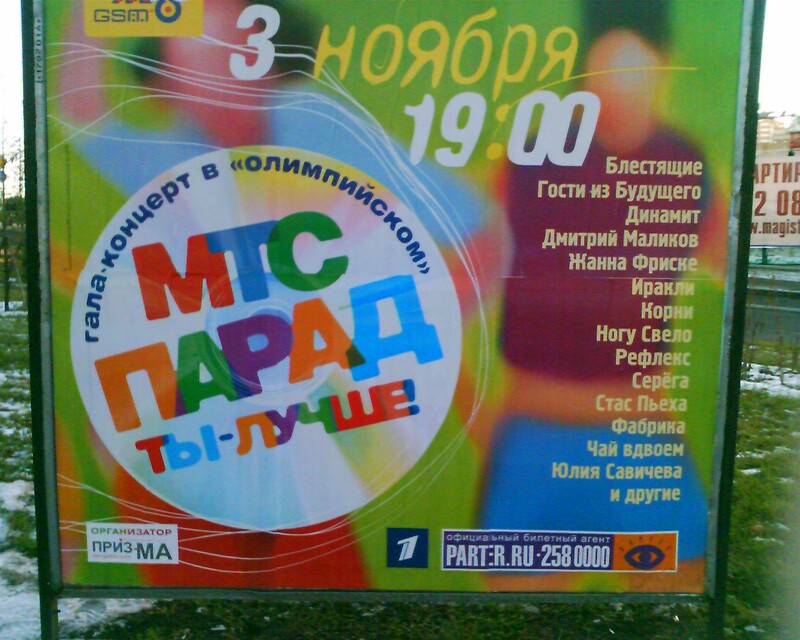 MP3 quality in the earphones is high, and the device may be used as an mp3 player. The max volume is more than enough. 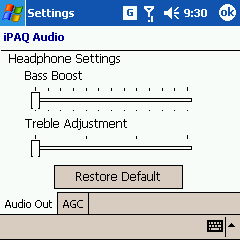 The sound quality may be adjusted with an iPAQ Audio utility. 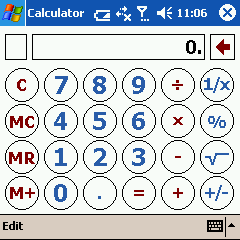 And if QVGA and VGA are possible to meet in the new models, then 240x240 pixels are for the first time on Pocket PC. As we have already told this need in a square screen appeared because of the combination of a small height of the device and a keypad. The square screen is 53x53 mm in size (2.95" in diagonal, while 3" are announced). 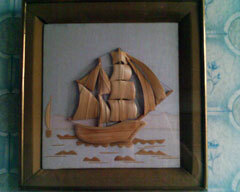 All the rest characteristics and the quality are typical (65K, TFT). There are 11 backlighting levels and the minimal one is rather inconvenient for durable work in the dark. 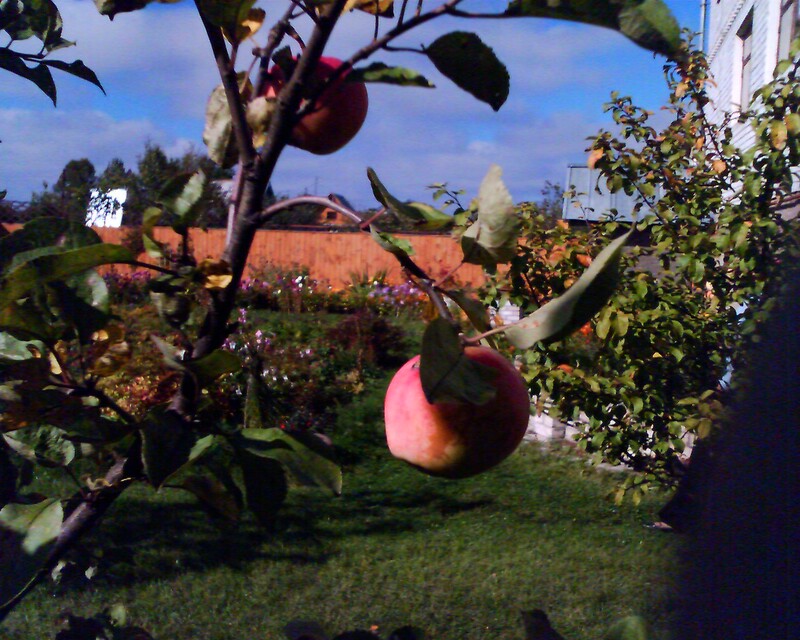 The image is seen almost in a zero angle, the colours get deformed very little. That is a great advantage of the screen and its disadvantage at the same time, since any passing by can see what is on your screen. In the sun it behaves good, fades but remains readable. The device looses to Palm Treo 650 as for the screen (due to the resolution). Read about the software problems roused by the new screen resolution below in a corresponding part of the review. The battery is removable. 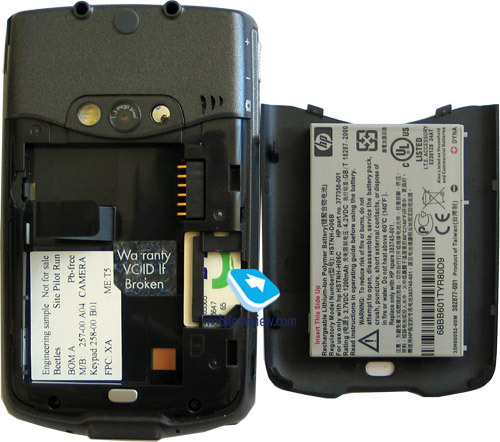 The SIM-card holder is near the battery, and changing the card is impossible without removing the battery. This way of fixing is unusual, however doesn't rouse and problems. The accumulator is standard Li-Ion 1200 mAh (this is not very capacious for a communicator; this value can be called average). An extra 1800 mAh battery is foreseen, it is available for extra pay. 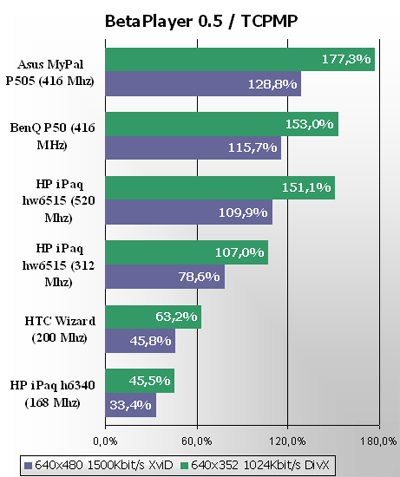 Our standard tests revealed the the iPaq hw6515 as a strong device of average means among similar devices. Three hours and forty minutes of maximum load, about 12 hours of reading books at the minimal backlighting or playing MP3 compositions with the screen off. We tested the device in Moscow, and the battery lasted for about two days in case of averagely 20 minutes of talks a day and two hours of other functions. Increasing the load (2-3 hours of music added, mail check on schedule), we had the battery discharging in a day. That is a very typical result. The company of HP traditionally uses the Broadcom's drivers that became a de-facto standard. 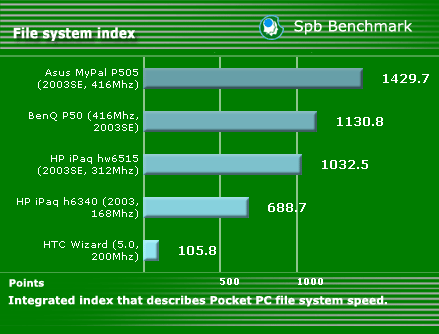 This is a real strength of the device, since drivers integrated into WM 2003 SE are seriously limited in functionality. The driver version is 1.7.1. They are different in the new profiles added, which are Bluetooth headset and Bluetooth keypad. 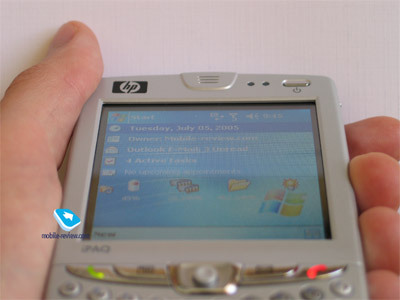 Some of the Pocket PC devices gained this opportunity after patching the drivers, and HP iPaq hw6515 is the first to have it primordially. You can listen to the music of CD quality in Bluetooth earphones, connect a Bluetooth keypad and enter text using it. The only problem is the absence of voice dialing, but that is a shortcoming of the operating system and the fact HP has no notion of which extra programs are necessary for a communicator. 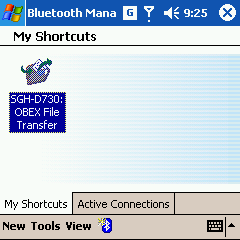 The problem is solved using extra programs (for instance, Voice Command), in the rest Bluetooth headsets worked well. 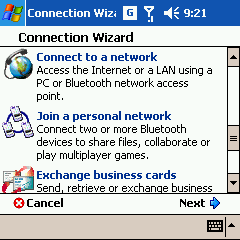 Other profiles served well as we expected, they provide connection to a PC, file transfer, exchanging VCards, network connection. 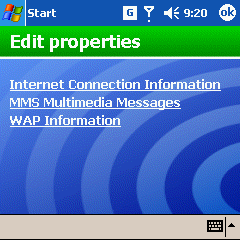 If you need an integrated Wi-Fi adapter, then wait for the iPaq hw6715 (a copy of the iPaq hw6515 with an integrated Wi-Fi module and no SD/MMC connector, only miniSD and a new OS). 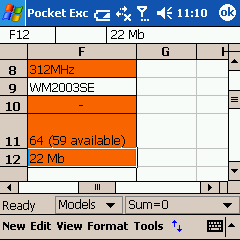 The new hw6515 is the first Pocket PC device with an integrated GPS receiver. The receiver has an internal antenna. No any settings, you can't turn it off or tune. 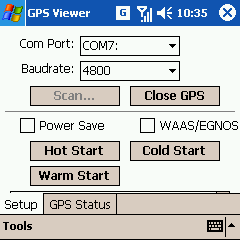 GPS turns on automatically at requesting a corresponding port. About satellite navigation in shorts. The birthday of a Navstar Global Positioning System (GPS in abbreviated form) fell on 1973, when the USA Defence Department initiated the unification of the navi system (various departments developed different systems, often incompatible). Every satellite carries several atomic clocks and transmits its position and exact time with the signal. A user navi system compares the time extracted from the signal and locates in three points. At the same time no high accuracy clock are necessary in the receiver, only its precision in short time periods in needed. The whole system consists of three components. The first one is at least 24 satellites (30 for May 2005), each satellite bends the Earth twice for 24 hours at the distance of 20 thousand km above see level. The last generation satellites (the Block IIr series and higher, for today there are 12 of them launched) are joint into a network and can renew the motion parameters with no earth control. The second is ground control centers, necessary to watch the orbits, synchronize time between the satellites and coordinate them. The data broadcasted by satellites may be changed from the earth. 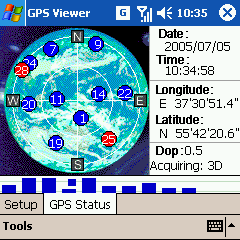 And third is GPS receivers. Despite supporting the system (including the renewal of the satellite park) comes to about half billion USD annually, ordinary users do not have to pay for the satellite signal. Only a GPS receiver and open space are necessary. Though, we will prejudice the last point in the article. Till 2000 a general access and military GPS signals were separated, and it was called Selective Availability. Ordinary users got an artificially inexact signal that gave a total error of up to 100 m. On the first of May 2000 the president of USA, Bill Clinton, cancelled selective access. The location precision now forms about 20 meters (or less using some contrivances). The GPS receiver sensitivity is good at open areas. It stably detects 8-9 satellites (at least 4 satellites are necessary for positioning; more satellites improve reliability and precision). But just enter a building and you'll loose the signal (the GPS chipset used is a little known solution, not SiRF Star III used in new PDAs). 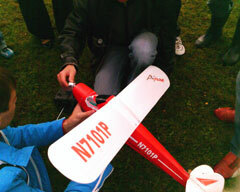 After the first run the GPS receiver needs about 5 minutes to load data from satellites and form co-ordinates. The time period between the start moment and before the first co-ordinate determined is called time-to-first-fix (TTFF). The function of A-GPS (Assisted-GPS) is to decrease the TTFF to a dozen of seconds, better positioning inside buildings where a signal is poor, data is downloaded not from the satellites but from a special server via GPRS. And then a usual GPS comes into action. The communicator is positioned as an end solution for navigation. The kits for Western Europe, USA and Canada include one of the best (if not saying the best at all) navigational program TomTom Navigator. 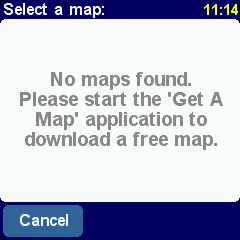 A user can download a map of one town for free directly to the device. The TomTom is now useless for Russia due to the absence of corresponding maps. But there is a good piece of news. 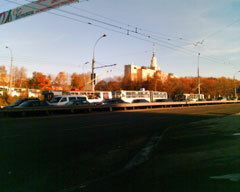 The company of TomTom uses maps by Tele Atlas which announced its conquering of the Russian market in March. So, soon the situation will change. 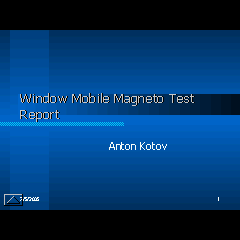 Only PalmGIS of Russian programs worked adequately during the first test, the others needed development and adaptation to a square screen. Many GPS programs including Pocket GPS are adapted to the square screen for the moment of review renewal. Corresponding to the last tendencies the communicator is equipped with an integrated 1.3 MP camera. A version with no integrated antenna is present; this is a demand of corporative customers. The viewfinder takes less than one third of the screen and can't be open full screen. You can turn the flash on or off, and joystick deviations change the value of a digital zoom. 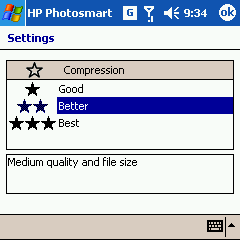 The quality of the pictures is low, the photos look degraded. And that is more a VGA resolution than a megapixel one. Take a look at the photo samples. 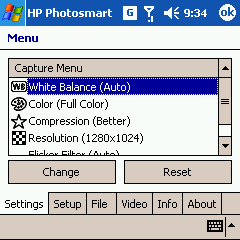 The max resolution of the recorded video is 352x288 pixels. The video is of bad quality, only 5-10 frames a second. Totally 57.78 MB of memory are available to a user, and a considerable part of this is taken by the operating system and preinstalled applications. The capacity of the available flash-memory forms 8 MB, that is mainly useless due to the presence of the two expansion slots. The CPU is Intel XScale PXA270 with a standard maximum clock rate of 312 MHz. Some of the editions hurried up to call this low clock rate the main disadvantage of the communicator. 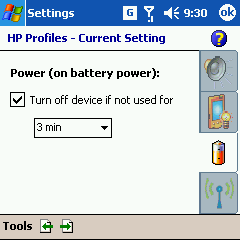 First, the audience HP iPaq hw6515 is targeted at doesn't care much of the clock rate, since mainly the productivity is enough (the communicator is not predicted for game playing and watching video on a square screen is uncomfortable). 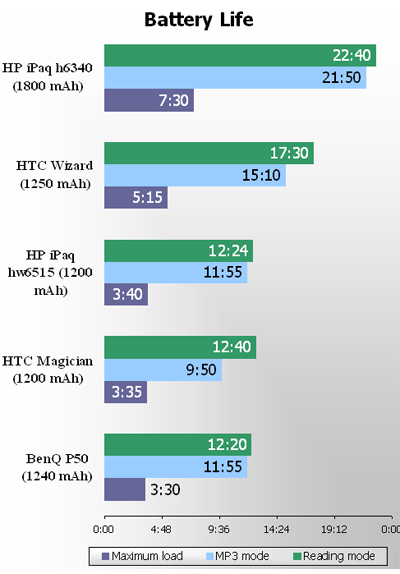 Battery life is much more important, and it decreases with the clock rate growth. Second, the CPU is painlessly speeded up to 520 MHz (the max damage the procedure brings is lost data). 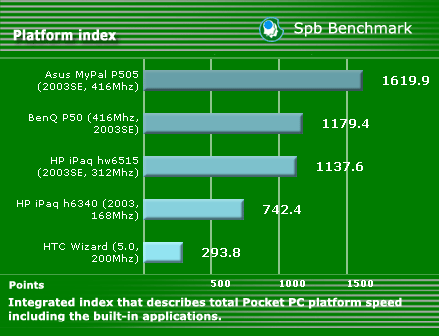 And traditionally, we start discussing productivity with SPB Benchmark test package. 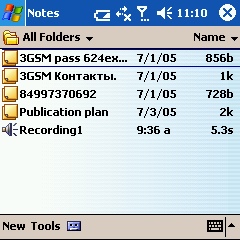 With time it gets less adequate especially when speaking about Pocket PC based on various versions of Windows Mobile. However we are obliged to use it, since no worthy alternatives are available. This index describes the CPU productivity. The results spread corresponding with a nominal clock rate. This index shows speed of working with memory (reading/writing/moving). 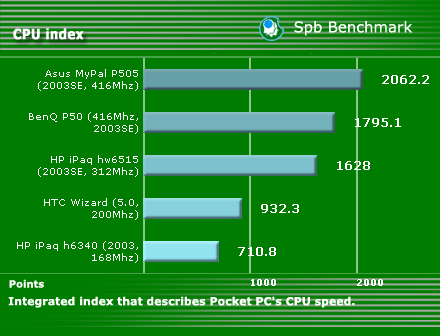 The iPaq hw6515 shows not bad indexes. 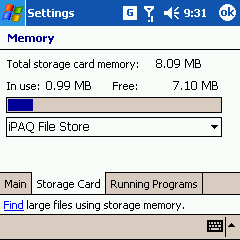 Low results of the Windows Mobile 5.0 device are a pay for the new memory structure. This index describes speed of working with integrated applications. The results are rather predictable since this index is based on the resulting one and depends on memory speed at work much. The speed of synchronization is high (it doesn't influence the resulting index). 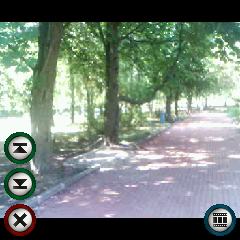 We tested video in The Core Pocket Media Player (former BetaPlayer) and gained the following results. The productivity is much dependant on graphical accelerators and Wireless MMX set integrated into the latest Intel XScale CPU. Productivity of about 100% means averagely a film is shown smoothly without fallen frames, however, in active scenes collapses are possible. 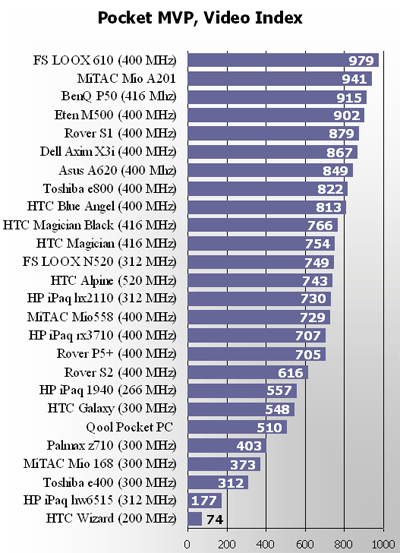 Here are the results of a processor speeded up to 520 MHz specially for those who find a usual clock rate too low. To speed the processor up we used the latest version of XCPUScalar. To watch films on iPaq hw6515 you will need preliminary converting, however watching films is still not very comfortable due to the square screen. Even grading the influence of accelerators and Wireless MMX, video playback remains middling. We played four clips of various flux level, and an index was formed on the base of fallen frames. The higher the index is the fewer frames fell averagely. The value of 1000 means no fallen frames at all. 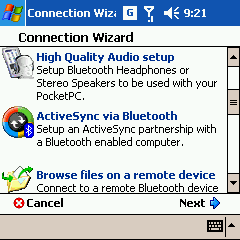 The communicator is run by Windows Mobile 2003 for Pocket PC SE Phone Edition. 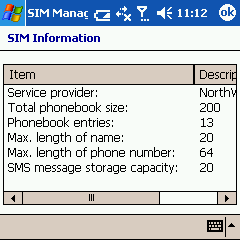 The difference from a usual non-phone version of the WM2003SE (read about the apossibilities of the standard programs) is some extra programs, responsible for the phone work. 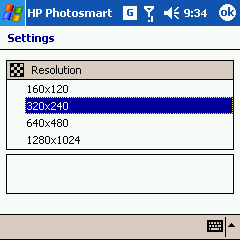 Since the working resolution is 240x240 pixels, all the preinstalled programs are specially adopted. The problems appear when installing third party programs. Almost all the applications run but are displayed incorrectly. The bottom of the screen (about 80 pixels) is beyond user's visibility. 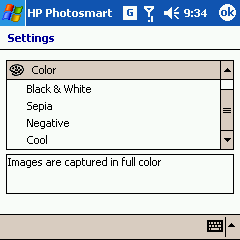 More and more third party programs are adapted for the square resolution. 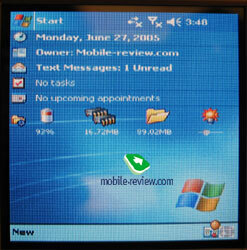 And really many programs for 240x240 pixels will appear with the launch of new Palm Treo based on Windows Mobile 5.0. Incompatibility with old programs is usually specified as the second main drawback of the PDA after low processor clock rate. And we have solved this problem also. Using Nyditot Virtual Display program version 4.23 and higher on your communicator, you will be able non-adapted for the square resolution programs and work with no problems. You may select of three variants - vertical flattening of the screen (320 pixels are pressed to 240, which looks not beautifully, however all the data now is available), vertical scrolling and showing a picture in 108x240 pixels. This is an undoubtedly incomplete replacement for a QVGA screen, however represents a great step forward as compared with bad compatibility of 240x240 pixel screen with the majority of applications. 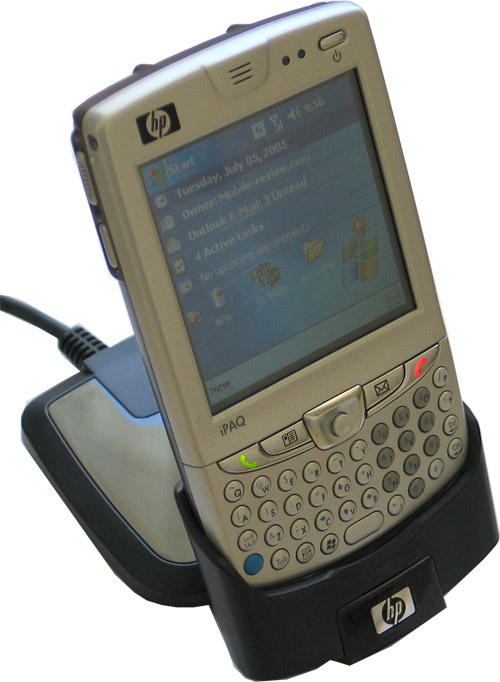 HP models are traditionally rich in third party preinstalled programs, and the iPaq hw6515 is not an exception. 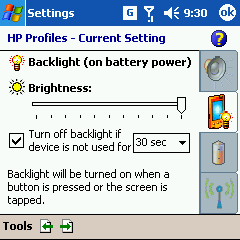 On the start screen you can see a traditional system utility that shows battery level, free memory, backlighting level may be tuned with a toddler. 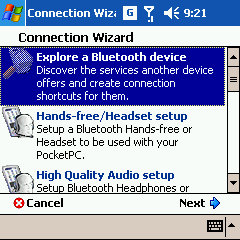 iPaq Wireless – establishes wireless connections. 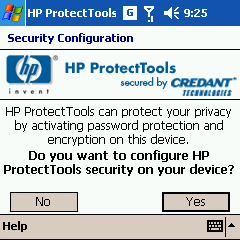 HP ProtectTools protects and codes data. 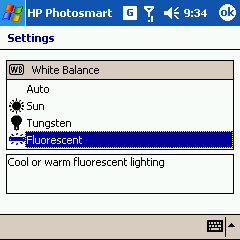 HP Profiles. Adjusting profiles. Volume, signal melody, backlighting brightness, screen off settings, settings for wireless adapters are all here. 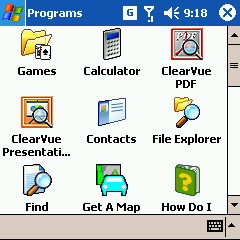 ClearVue. A complete package for viewing office documents is on the drive. 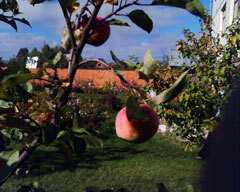 The most necessary commands are set primordially; they are ClearVue Presentation и ClearVue PDF. 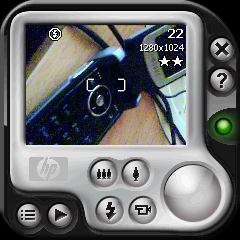 iPaq Image Zone works with images. 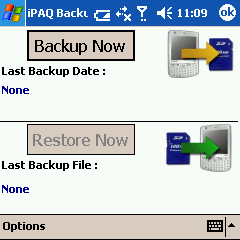 iPaq Backup. One of the best utilities for data back-up, can be set on the schedule. 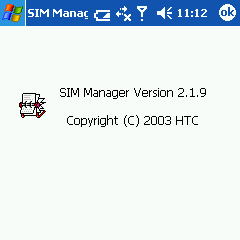 SIM Manager - working with SIM, contacts and other data. 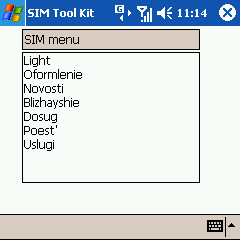 SIM Tool Kit – SIM-menu, everything is plain. 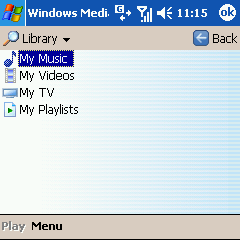 Windows Media Player version 10. 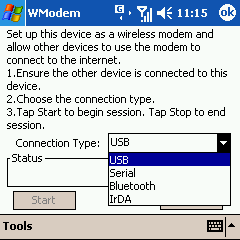 WModem. You can use the communicator as a modem connecting to a notebook via Bluetooth, IrDA or a USB cable. The connection quality rouses no cavils. The volume of the call signal is quite loud, and it won't be missed even in the street. Only MIDI, WAV or WMA files may be set as a call melody, not MP3. The power of a vibra call is average and felt in a pocket of a jacket. 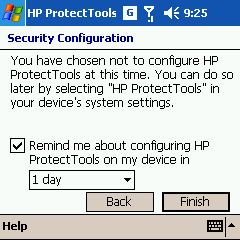 This is the best communicator by HP. It holds the main market tendencies and reveals the new ones. The integrated satellite GPS receiver, navi software in a kit, EDGE, two expansion slots, QWERTY-keypad combined with a square screen (new to Pocket PC). And all these things are put in a strict design and appropriate size and weight. The device will have no direct rivals till the end of the year. 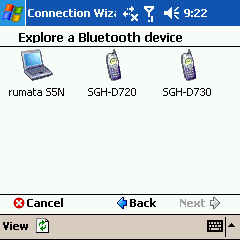 However the iPaq hw6515 has shortcomings also, let's name them. No integrated Wi-Fi module, the quality of the square screen is not the best on the market, serious problems with the work of third party software on this screen. And the review shows this problem is mainly solvable. Battery life. 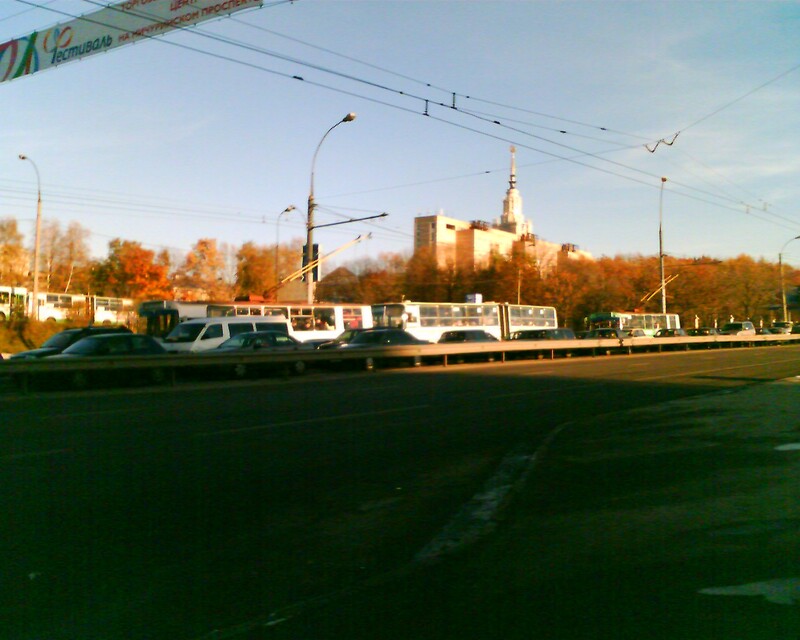 TomTom's (temporary) uselessness in Russia. Traditional problems with the keypad Russification. 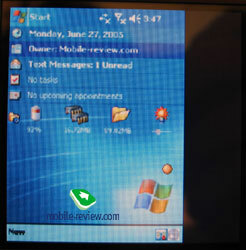 The update to Windows Mobile 5.0 (the advantages of the fifth version for the hw6515 are work with a keypad with a stylus, no data is lost at serious battery discharge, and the main is push-mail) is not planned for now. ). The next model called HP iPaq hw6715 will be equipped with Wi-Fi module, Intel XScale 416 MHz CPU, new OS, however only one expansion slot. The model is expected on sale in the first quarter of 2006. Current prices vary from 650 to 750 USD. During the life circle they may fall to 500 USD, but not lower.